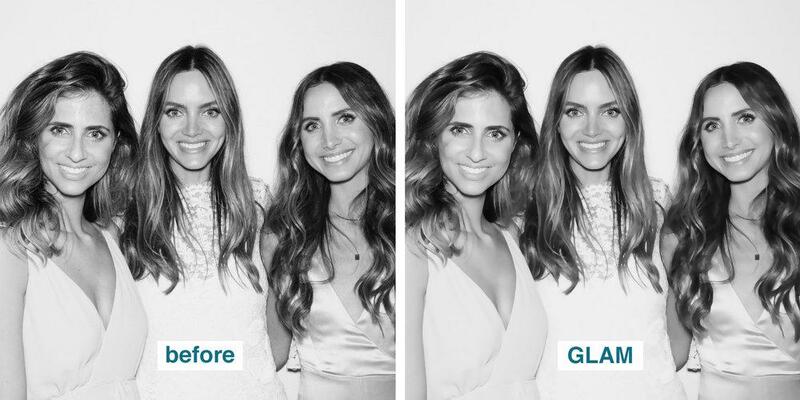 Today we’re talking about our beloved classic, the GLAM filter! It’s our favorite because, let’s face it, it makes everyone look extra fantastic with its subtle airbrushing and smoothing effects. 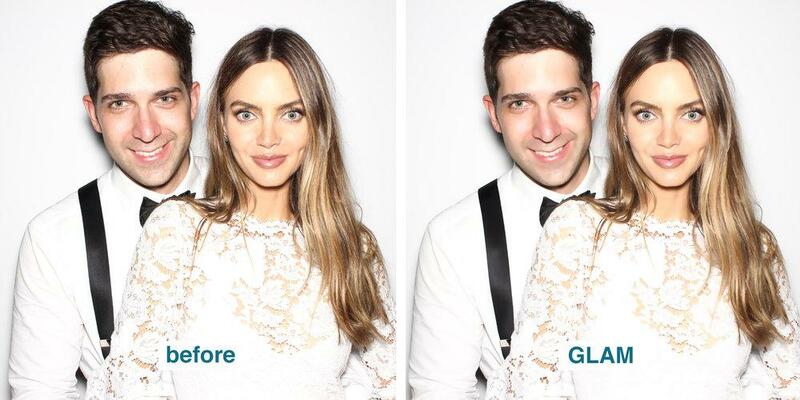 The glam filter is also instant, no face tuning apps required 😉 Our fobo Photo Booth shows a live view with glam, and then you just tap to take your perfect photo in b/w or color – you choose! 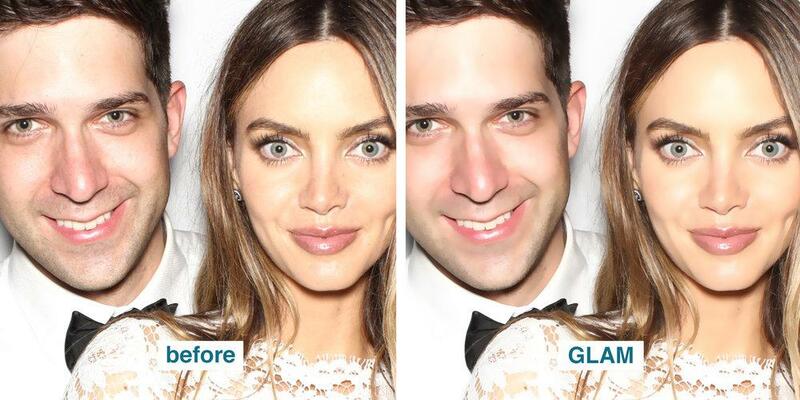 Originally made famous by the Kardashians, the glam filter has become a go to for our celebrity clients. It’s also super popular for weddings, because everyone wants to look star studded on their special day. But really, any day is a special day with GLAM! 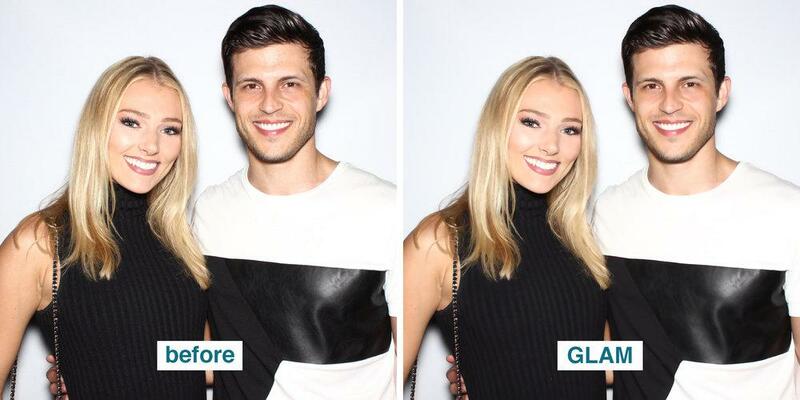 Scroll down to check out some great before and after shots featuring GLAM! Click to see the images large for the full effect.